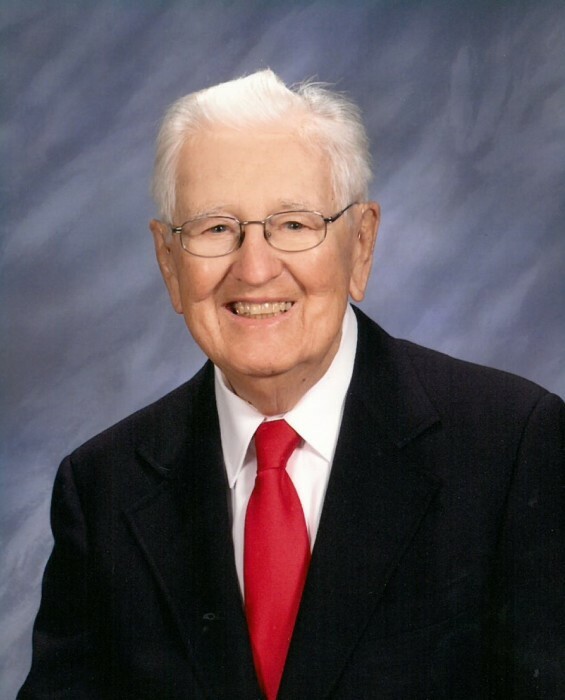 John B “Jack” Green, of Morehead City, 100, died on Saturday, April 13, 2019 at his home. A memorial service will be held at the First United Methodist Church in Morehead City at a later date. Born May 10, 1918 in New York City, he was the son of the late John E. Green and Laura B. Green. He was a graduate of Babylon (Long Island) High School, the University of Michigan with a BA in economics, and New York University with an MBA in accounting. Mr. Green served in World War II from 1941 to 1945, honorably discharged as a Captain in the Medical Administrative Corps attached to the Army Air Corps. After the war he served in the US Army Reserve as a Major in the Medical Battalion of the 72nd Infantry Division. During his career, he was employed by the Allied Chemical Corporation (now Honeywell International) for 38 years in a financial capacity, retiring as Vice President and Controller of the company’s Industrial Chemicals Division. In 1983 he retired with his wife, June, to Pine Knoll Shores. For the next 20 years, he was self-employed part time as an accountant, active in the AARP Tax for the elderly, Chairman of the Retired Volunteer Program, President of Ekklesia housing, Treasurer of Habitat for Humanity, President of the PIKSCO Home Owners Association, and member of the Board of Adjustments for Pine Knoll Shores. In his spare time he loved boating, fishing, clamming, and crabbing on the Bogue Sound. Mr. Green had been a member of the First United Methodist Church of Morehead City since 1983. He was preceded in death by his first wife, and mother of his children, Judith Bradley Green, and his second wife of 30 years, June Edwards Green. He is survived by his two daughters, Carol Acker and her husband Bill of Pine Knoll Shores, and Alice Martin and her husband Peter of Plymouth, MA; four grandchildren; five great-grandchildren; and a sister, Marjorie Michael of Plantation Village, Wilmington, NC. The family wishes to express their sincere thanks to Mrs. Leigh Finney for providing home care for Jack during his last 12 years. Due to her care, Jack was able to live out his life at home.